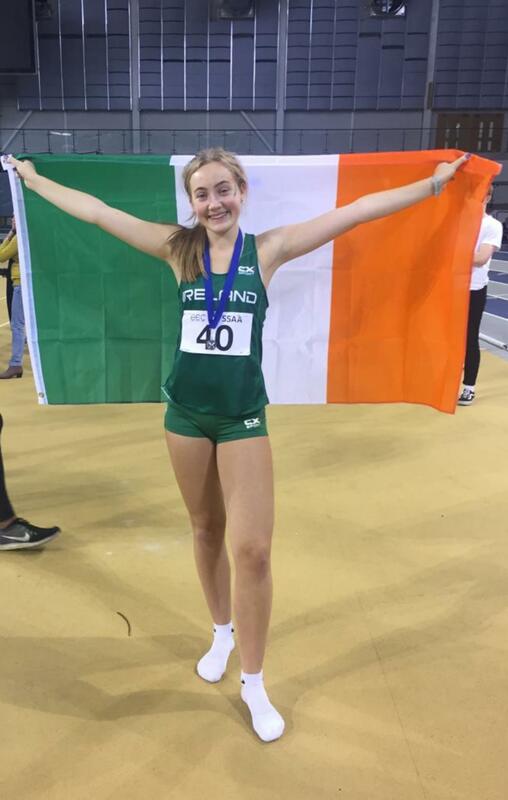 Wexford girl Maeve Hayes was a member of the Silver medal winning Irish team (Intermediate) at the Schools International Pentathlon at the Emirates Arena, Glasgow last weekend. 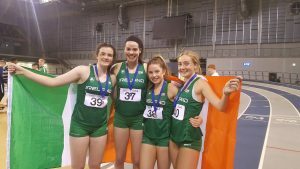 The team, which also included Chloe Casey, Niamh O’Neill and Niamh McCorry, finished behind England but ahead of Scotland and Wales. Maeve of Loreto Secondary School Wexford and St Paul’s A.C. achieved a total points score of 3008. Her bests in each event were as follows: Shot Putt – 8.21m, 60m Hurdles – 9.59s (PB), Long Jump – 5.17m, High Jump – 1.56m, 800m – 2.45 mins. 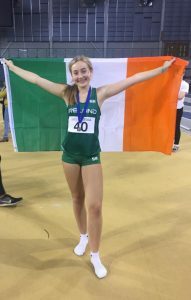 Tagged Maeve Hayes, Schools International Pentathlon 2018, St Paul's AC, Wexford girl at SIABs. Bookmark the permalink.